5 Fermented Food Myths Busted! There is estimated to be 100 trillion microorganisms that make their home in your gut, and these microorganisms play an incredibly important role in your health. Nowadays, we know that not ALL disease begins in the gut (for example, genetic diseases.) 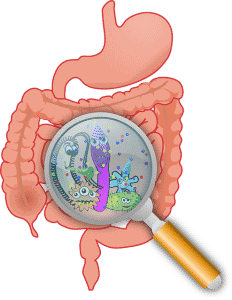 However, scientific evidence is starting to show that MANY metabolic diseases do, in fact, begin in the gut. Because of this, it’s important that we make sure that the good bacteria in our gut outnumbers the bad. Fermented foods are an excellent way to increase healthy gut bacteria and improve your overall health and wellness. But there’s a lot of misconception about these gut-healthy foods. Keep reading to learn the truth behind some of the common myths and misconceptions surrounding fermented foods. While it’s certainly true that there are bacteria that can cause illness (hello, salmonella, listeria and e-coli, for example) the bacteria found in fermented food is the good, beneficial kind. The fermentation process works to culture good bacteria, which can improve your digestion, strengthen your immune system and reduce your risk of many diseases. All food eventually goes “bad.” This is due to a variety of different reasons, including bacterial action, mold growth and oxidation. However, fermentation is the process of process of using microorganisms like bacteria or yeast to convert carbohydrates to alcohol or organic acids under anaerobic conditions. If you’re interested in fermenting your own foods, you’ve probably heard that a starter is required. This is true with certain fermented products such as sourdough bread or kombucha. However, fermenting vegetables does not require anything special to get started. One of the best and easiest fermented foods for beginners to make is sauerkraut, which is perfect for beginners. Fermentation may seem popular and trendy these days, but it’s certainly not a fad. 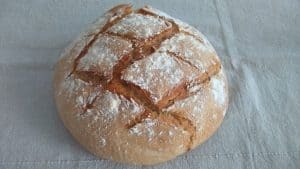 The fermentation process has been used for thousands of years by people all over the world, to create everything from drinks, breads and dairy foods, and as a way to preserve vegetables. 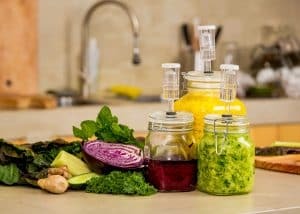 As modern science is learning more about nutrition and using food as medicine, fermentation has started to experience a growth in popularity. Stop and think about this for a second – how many fermented foods can you think of that have been on the supermarket shelves for many years? Here are a few: pickles, yogurt, kefir, sauerkraut, kimchi, sourdough bread… The idea of fermented foods is nothing new. There are many excellent probiotic supplements on the market today. However, it’s still important to be consuming probiotic-rich foods, as naturally occurring fermentation produces cultures of bacteria that your body can readily use.